Szabolcs Pogonyi is Associate Professor in the Nationalism Studies Program at Central European University. His current research focuses on diasporic nation building, transborder minorities, non-resident citizenship and external voting. He is the author of several articles in political theory and editor of books in the history of political thought. 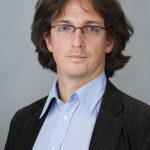 His research on contemporary Hungarian diaspora politics and transborder nation building (Extra-Territorial Ethnic Politics, Discourses and Identities in Hungary) was published by Palgrave Macmillan in 2017.